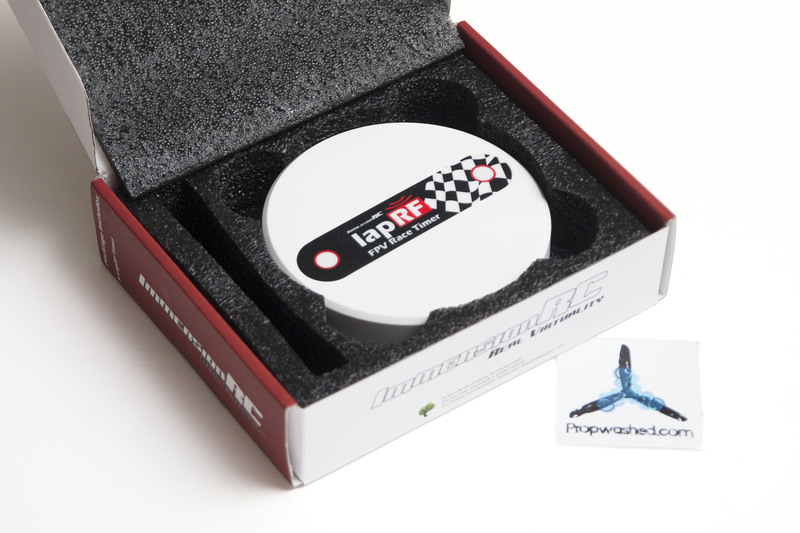 For our series on race timing, we’re taking a look at another popular VTx scanner, the ImmersionRC LapRF. There’s a lot of padding and empty space in the box. 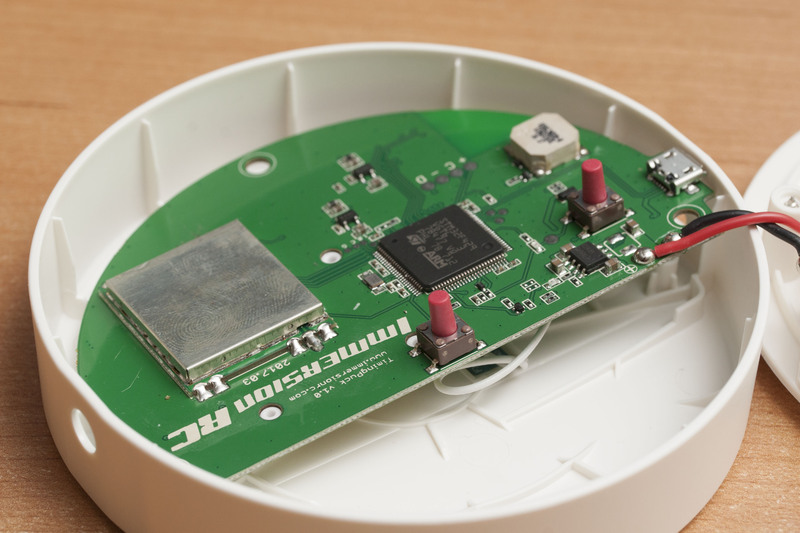 Perhaps the empty hole is for storing a range-mod antenna, or maybe it was supposed to hold a micro-USB cable. If you haven’t yet read our Lap Timing Guide, you will probably want to check that out before reading this article. 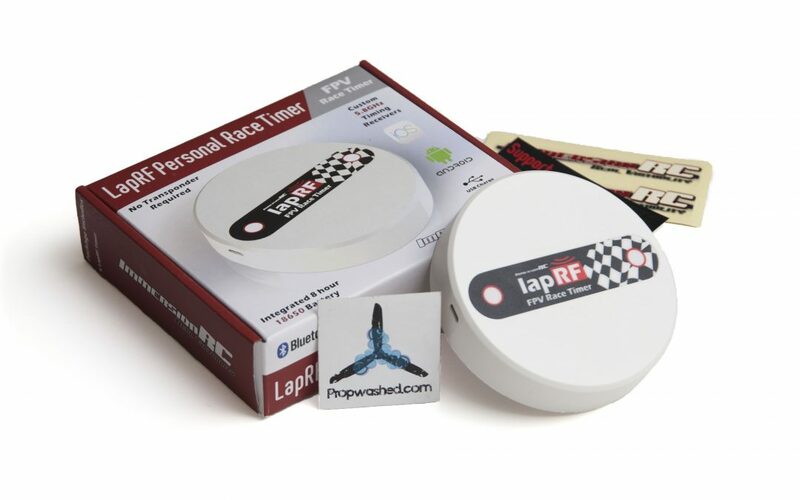 That guide covers the basics of lap timing and the various types of systems available, while this one is specific to the LapRF Personal product. A required component that’s left out is a micro USB cable, which is needed for charging and occasionally connecting to a computer such as for firmware updates. Most people should have one or be able to get one just by asking around. As a last resort, nearly every variety store will carry them. You also won’t get a product manual; it’s expected that you’ll visit ImmersionRC’s website to download it or view a live version of the manual. 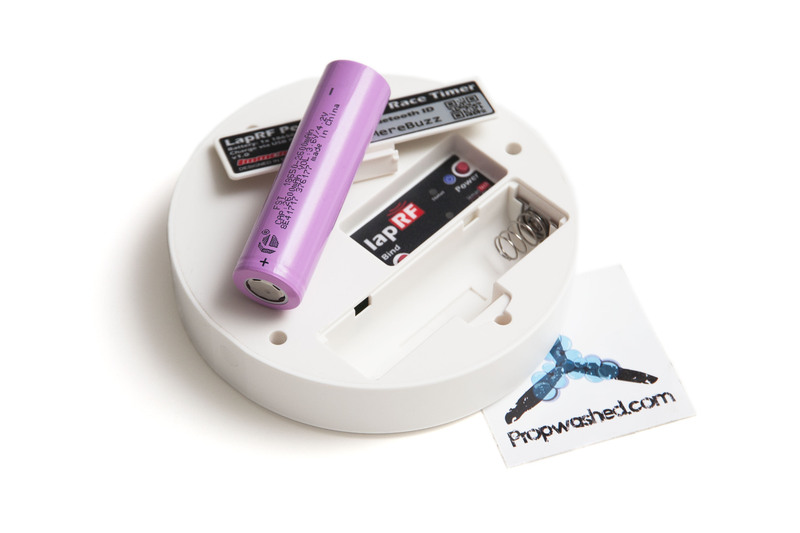 The LapRF Personal main unit is small and light, and should fit easily in any bag, but you probably won’t be able fit it in your pocket. Underneath are two buttons, “power” and “bind”. It takes a long press of “power” to turn the unit on. This is pretty standard but the recess means it would be unlikely to be pressed accidentally anyway. The only use I had for “bind” was to enable firmware flashing mode; it isn’t necessary for normal operation and, as far as I could tell, didn’t help anything bind. 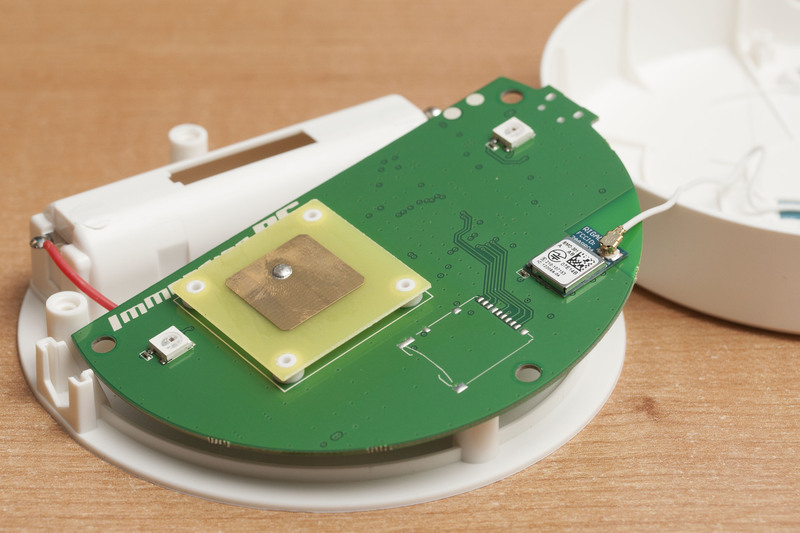 Internally, it consists of an RF receiver, an F4 processor, a patch antenna, the Bluetooth radio, and various connecting and interface components. A full charge of the included 18650 2600mAh cell is about 3 hours, but that will net you about 8 hours of run time. In other words, plan to charge it the day before you need it, but then it should be able to go all day. If that’s somehow not enough run time, or the battery won’t hold capacity anymore, it’s easily replaceable. Having a battery is required, though—it won’t run off USB power alone. The timer has an accuracy of 30ms. This might sound high, but you’ll notice what this really means when you begin using it for a while. Your lap times will only be tracked in increments of 0.03s; if you make a 9.37s lap, it might register as 9.36s or 9.39s. This is compounded when when you add multiple pilots; each pilot drops the accuracy by another 30ms. The same 9.37s lap might now record as 9.42s. Activate all 8 slots and you get an accuracy of 240ms—basically a quarter second. This same lap might now register as 9.60s—if you kept in range of the timer long enough for it to pick you up at all. 30ms accuracy should be enough for professional events, but 240ms certainly wouldn’t. Also, the smaller the course, the more those hundredths of a second will matter. 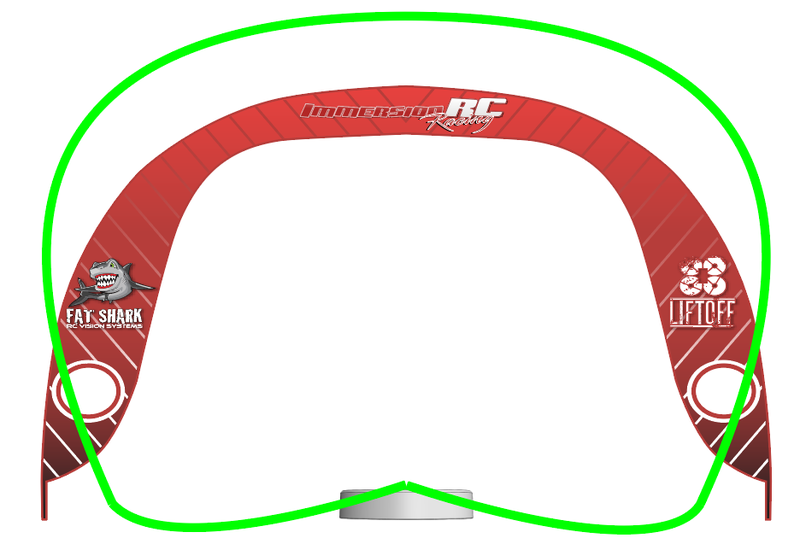 ImmersionRC claims the antenna pattern covers a typical gate shape almost perfectly, but our testing suggests it’s more directional. Before you use the LapRF, you’ll want to update the firmware. I noticed on my test unit that the ‘minimum lap time’ setting wasn’t functional until I’d updated. This is a fairly simple process that’s detailed in the manual. It requires a Chrome web app, though, so the process may need to change in the future as it already has with Betaflight. There’s very little to getting the LapRF hardware ready to go. Charge beforehand, then power up and place near the start gate. That’s about it. 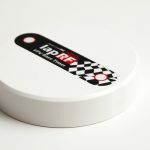 Importantly, there are no transponders to install, so the LapRF works with all sizes of quad. The most complicated part of the process is deciding where to place it. The manual shows a radiation pattern that’s roughly “loaf”-shaped. ImmersionRC supplies several diagrams in the manual that show how you might orient the unit to cover your gate. Some testing with the unit suggests that the receiver pattern is much more directional than the diagram suggests, with maximum sensitivity coming straight off the top of the unit and greatly reduced underneath. This can be used to your advantage by pointing the top away from the rest of the course, but angled partly toward the flight path. This will give you a larger envelope for picking up racers, improving accuracy and at the same time preventing nearby parts of the course from producing false positives. BMSweb 3D-printed a stand to help position theirs in this way, which you can download from thingiverse. The range on the Bluetooth connection is okay. On the ground, I could only go about 40ft. Orienting the top of the disc toward yourself can provide a small boost. These figures all ride an uncomfortable edge if you want the connection to be persistent; in practice you should expect to stay closer. 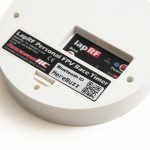 It’s plenty for indoor micro racing, but outdoors at some flying fields it may be tough to maintain a connection and sit a safe distance away. Most of the user experience happens within the app you use to connect to the LapRF unit. An app is available for Android, another one for iOS, and LiveTime software can be used to connect directly to a Windows PC. I spent most of my time using the Android app. The very first impression I had of the app wasn’t promising. When it starts, you’re greeted with a sound clip of a race announcer saying “Who has more fun than us? Noooo-body!” or the like. This announcer pops back up occasionally as you use the app, such as “This race is OVER!” every time you finish a race. I believe the announcer is the famed Joe Scully, and some may appreciate the tie-in the to pro scene—but I’m not a fan of the app adding unnecessary chatter to my race session. I find it unprofessional and makes me think twice about running an organized event with the sound turned on. It might be forgivable if there was an option to disable it. Unwanted sound is the kind of interface decision that suggests an app is not well built, but fortunately it gets much better from here. Turn Bluetooth on and choose your timer. After you do this once, the LapRF app will remember and automatically try to reconnect to it. Your first task will be the connect the app to the timer. It connects via Bluetooth, but you don’t pair it manually. Head to the ‘Select Device’ page and it will scan for timers. 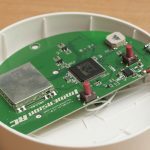 After a few seconds, the timer will pop onto the screen with a MAC address and the matching name given on the bottom of the puck. You can rename your timer to personalize it and it will display differently here. Select it and continue. Now it’s time to configure the unit for your race. The approach that’s taken here is a great one: the left side of the screen has all of the exact settings for frequency, gain, and sensitivity, which can be individually tweaked. On the right side are buttons which adjust the settings to preset values. For example, press the “Raceband” button and all 8 pilot slots will adjust to the Raceband freqencies. 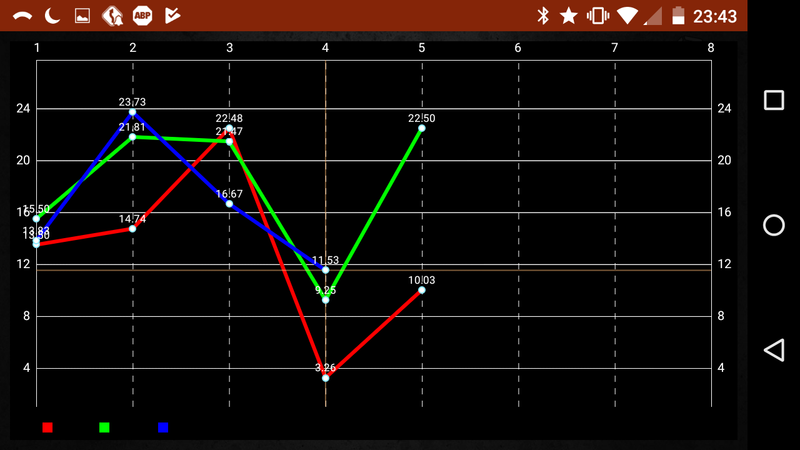 Press “200 mW” and the gain and sensitivity values across the board will change to preset values that match. You can use these buttons to quickly and easily make sweeping changes (though there is no ‘undo’ if you hit one by accident). On the other hand, if you want to adjust any value individually, just tap it. You’ll be able to choose the exact value for every setting independently. 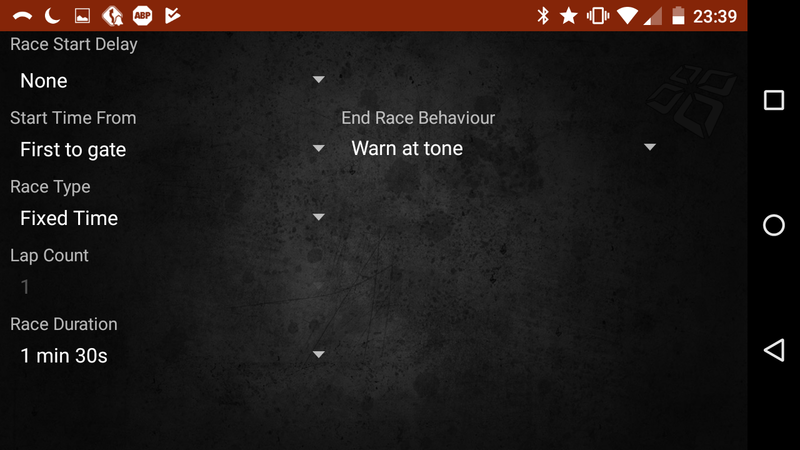 This allows you to race with pilots of varying power levels should you choose to do so. When you edit a frequency, you’re given a selection of bands, (“A”, “B”, “E”, “IRC” (Fat shark), “RaceBand”, and “Low Race”,) but you can also type in any frequency explicitly. The range tops out at 6.0GHz and goes all the way down to 5.2GHz, though you probably shouldn’t. Direct settings and preset buttons allow both quick setup and precise adjustments. As with any preset, assumptions on how you use it have been made. The VTx power settings all appear to assume a standard outdoor gate size. 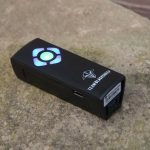 Choosing the 25mW setting and whipping the AcroBee around the living room was unusable—the sensitivity was too high and registered laps constantly. When I increased the threshold number manually, I was able to get perfect readings. If it doesn’t just work, you have to figure out what that sensitivity value should be on your own. A ‘Diagnostic’ page exists which will show you the current RF readings of each active slot; you can use this to judge what you might want to set the values to. You need to find a value that is higher than normal everywhere on your course except when you are near the timer. Your threshold is this number minus 1000. Once you have it, it’s a little annoying typing in each new value as you first have to delete the existing one. The manual has an informative section on Gain and Threshold if you are having read issues, yet doesn’t mention the simple ‘diagnostic value minus 1000’ target which is probably the most important piece. The lack of a ‘calibrate’ option is a missed opportunity that has caused some pilots to consider returning their unit as defective. Once you’ve set up these values, you need to send them to the timer. You’ll have to press the “Write Settings” button while connected. An unlabeled checkbox here will automatically uncheck itself when you press this. Once the settings are written, it will check itself. You can also manually check and uncheck it to no effect, which is unpolished but harmless. Writing settings is an extra step, but I can appreciate the benefits it brings in the app’s performance. It’s far faster to make a lot of changes at once. This method also means that your puck keeps its settings even when you power it off. The main page shows all pilot slots, (regardless of being enabled,) lap times. (page left and right for additional times up to lap 96.) 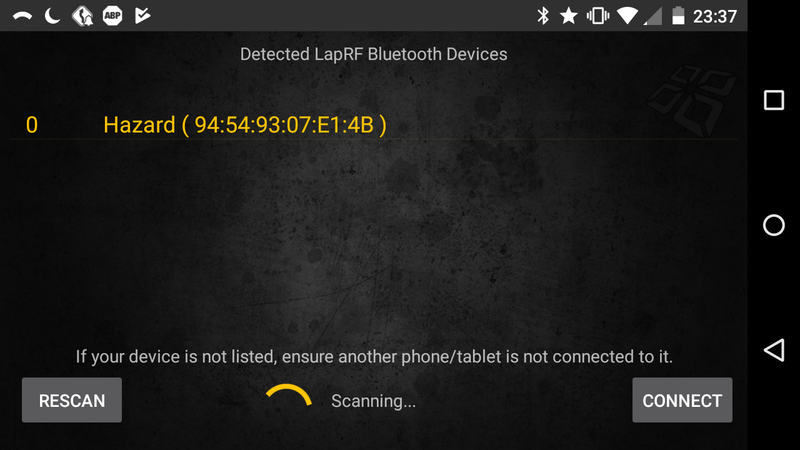 and bluetooth connection info, (Name, RSSI, status). Another setup option is to enable or disable each pilot slot. You get 8 slots to use. 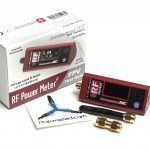 Since there’s only one RF receiver, each pilot you add will reduce its accuracy and the maximum speed at which the timer can reliably track a quad passing by. A note on the setup page will tell you what to expect for accuracy with the number of pilots you currently have enabled. How many you’re able to track might depend on the skill of your race group. Only two might be possible if you’re extremely fast, 4 seems reasonable for many groups, but going all the way up to 8 may only work with slower indoor micro-class racing. Unlike a transponder-based timer, feel free to make your course complicated right before the finish line in order to slow pilots down and improve the read rate. You can set any slot to any frequency, even duplicates. You won’t want to run a race with duplicate frequencies, but doing this allows you to enter an entire group (up to 8) ahead of time and then quickly enable just those racing in the current heat for best accuracy. 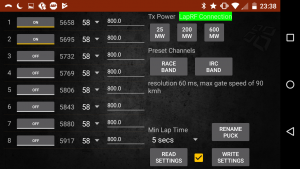 For maximum throughput, you can even be setting up the next heat while one is still running, and simply wait until the race is over to write the settings! A separate “Pilot Settings” page exists to allow name entry. This changes how each display on screen, but is also used with text-to-speech to call out each name with a time whenever a pilot finishes a lap. Some users report issues with the app not saving these names. Settings for running a race are fairly basic but cover most use cases. There’s a race start delay of none, 5s, 10s, or random (but less than 5s). The random option can help prevent false starts. None of the options might be enough to push the button and then get settled if you need to futz with your goggles to get them just right. You can set the timer to start at ‘first to gate’ though, which allows as much time as you need since you could do a video check and then call a start manually. I would have liked to see the ‘staggered start’ type where each user’s time begins when they reach the start gate for the first time which can help avoid the turn-1 massacre. In all cases, it expects pilots to start behind the line and fly through the gate on the first lap. The options seem basic, but they cover the vast majority of race types that pilots would want to use in one way or another. Race type can be practice, a certain number of laps, or a fixed time. 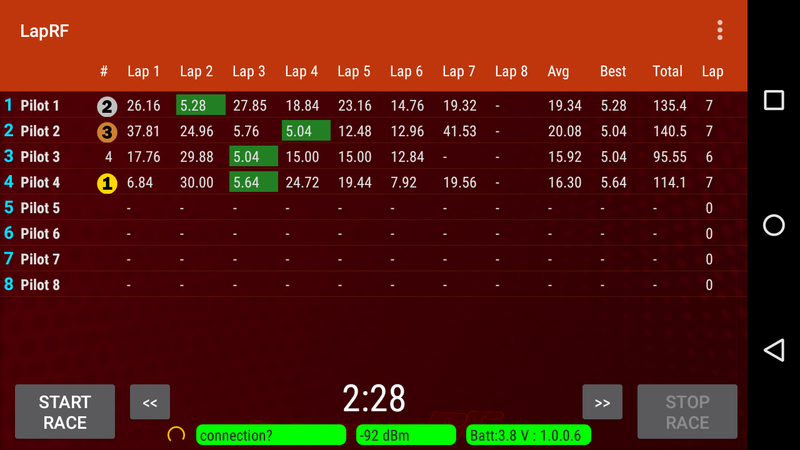 The laps and time settings feel a little limited in range: number of laps is only from one to ten, and fixed time ranges from one to ten minutes in 30-second increments. 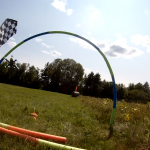 There are probably fine for most quad racing heats, but eliminates endurance as an option. A final, really nice option is to have the timer simply warn that the race has ended when the end condition is met but not stop timing. This is great if, for example, you allow pilots to finish their last lap in a fixed-time race. In general, the app was a great experience. It’s responsive even on my 4-year-old phone running Adroid 5.1. 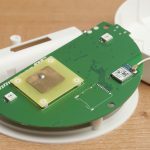 Remembering the last timer used is a great idea that prevents many round-trips to the ‘Connect Device’ page. Automatic re-connection isn’t perfect, but works more often than not. I like that there’s status information throughout and only rarely wanted more options or data to be made available. I discovered an undocumented, hidden feature as well. During a race, on the main screen, tapping on a pilot number records a lap for that pilot. This is a really nice bonus feature, as it means you can use the app for timing just about anything manually. You don’t even need a LapRF unit connected to do this. 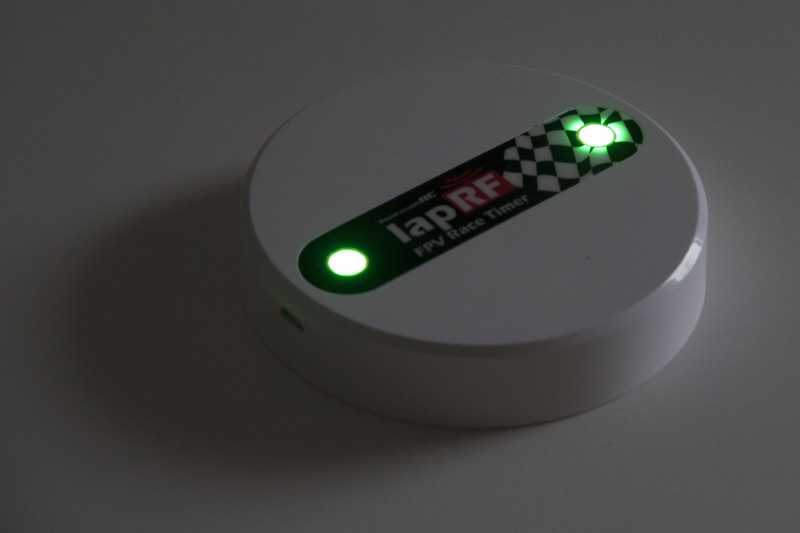 One caveat; it doesn’t work to add laps to a slot that’s currently being tracked via RF. 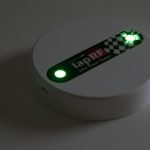 The app and the LapRF unit use independent clock systems, so laps started via one method and finished on another are wildly incorrect. Some might find it problematic that you have to tap the slot number, which is a small tap target that’s hard to hit precisely. Once you have some times recorded, this page will graph out the performance of each pilot. It’s odd that the pilot names are omitted here. It’s not flawless, though. The ‘start race’ button doesn’t disable when the app is counting down, so you can start multiple races simultaneously. I caused a crash once in the ‘connect device’ page by turning on Bluetooth manually instead of letting the app turn it on. Both are extremely minor issues. I really would have liked to see the race history saved for later exploration as well, but taking screen captures is fairly simple since a lot of data is displayed all on one page. This does make the type size very small and there’s no way to enlarge it. If you have vision problems, you might only be able to use the app on a tablet. The iOS app was a failure on the iPad2 that I had available to test with. I couldn’t get the iOS app to connect to the timer or even see that it existed. 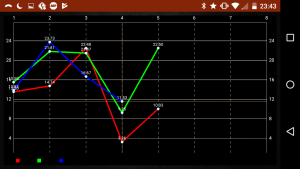 The app appeared less refined in other areas as well: there’s no ability to individually set threshold values, for example. A few of the UI elements were a little simpler to use, but not in any significantly meaningful way. Perhaps a newer iOS device would have less trouble, but it’s unfortunate that this is necessary. ImmersionRC states that “pimp kits” will be available to change to look of the puck. As far as I can tell, these still don’t exist yet, but I doubt they will offer much more than different case colors. ImmersionRC also has said that they will offer a Bluetooth range extension kit but does not do so just yet. You can get parts for this easily, for example we used this kit off Amazon that’s designed for a WiFi router, and this one off Banggood should work as well. 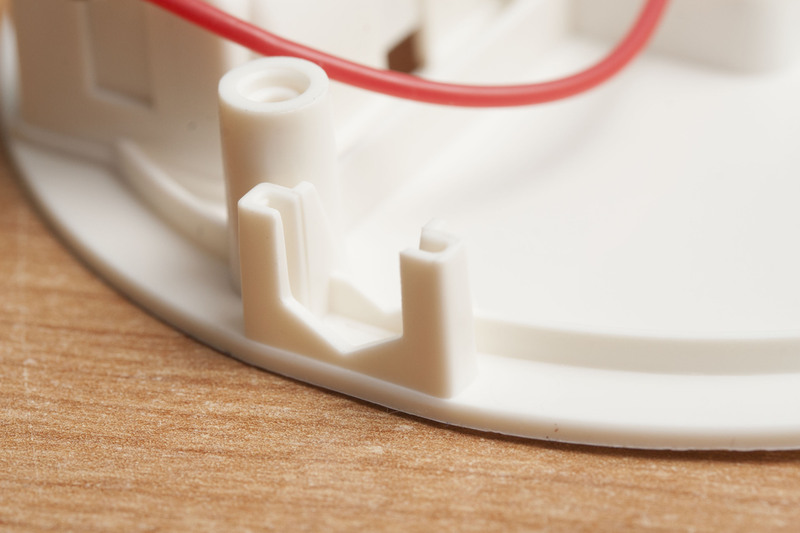 The port for the external antenna mod has a hex cutout which prevents the SMA connector from rotating. The mod installation was really simple. Opening the case is just four screws. I disconnected the existing Bluetooth antenna’s u.fl/IPEX connector and just left it inside the case. The hardest part was physically closing it back up since you need to thread the u.fl cable inside the case where it won’t get pinched by anything. There’s plenty of space inside but it’s not obvious where there’s extra room and what sits flush. It took several tries to get this right. In retrospect, a few pieces of tape to keep the cable where I wanted it could have made the job much simpler. To do the mod, you remove a slot cover rather than drill a hole, and I was very impressed to find this area notched with a hex pattern. This hex prevents the SMA connector from rotating when working with the antenna. It may make a huge difference to the longevity of the unit. The range after modding was spectacular. I was able to reach about 100ft with a hill between myself and the timer. Direct line of sight with the timer elevated about 4ft, I was able to reach the limit of my testing area, 300ft away, without losing the connection. That will be plenty for just about anywhere. Be careful if you change out the battery; 18650 cells are easy to put in backwards. 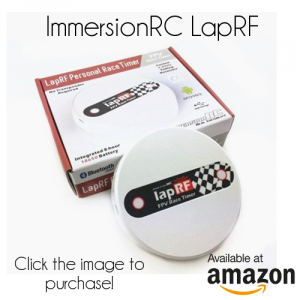 The ImmersionRC LapRF Personal is a great timer for individual practice and small groups. 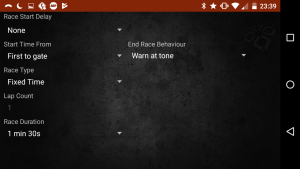 It is simple and easy to use, yet has a good feature set that covers a wide variety of race types. The accompanying software is reliable and responsive. While options are easy to understand, ImmersionRC has chosen to offer power users additional opportunity to make fine adjustments. While there are some minor issues, none are a detriment to its utility. With a little knowledge of manual calibration, any owner should find the timer an extremely useful tool that works reliably enough for all informal purposes. 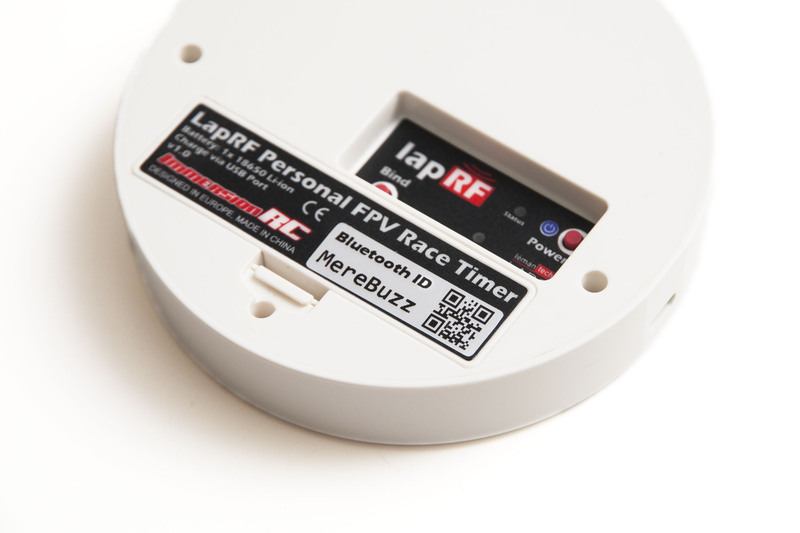 While great for personal timing and small groups, the LapRF won’t be suitable for large events where you need precision and absolute reliability for each individual racer. Running 8 pilots on the LapRF is sure to eventually frustrate any serious race group with dropped lap times and its lack of precision. ImmersionRC also manufactures the LapRF 8-Way, a product aimed at these bigger race groups. 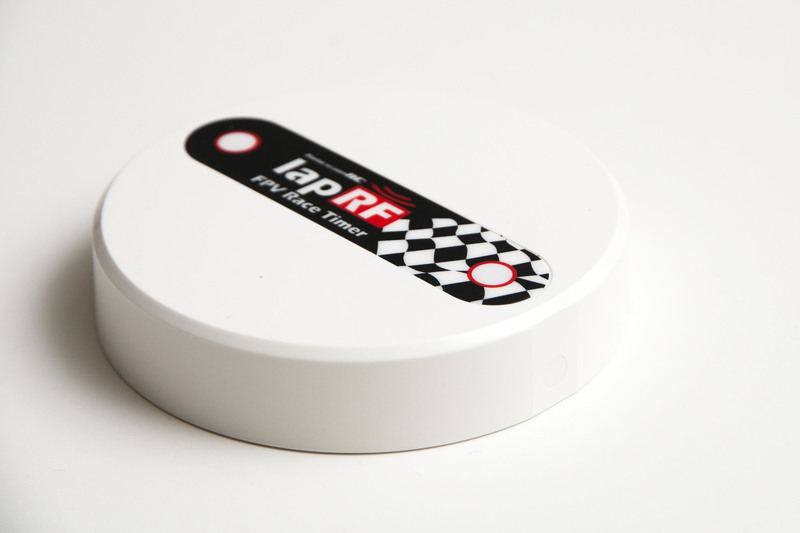 Anyone looking at the LapRF should also consider the TBS RaceTracker, a very similar product. 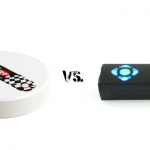 We’ve already reviewed the RaceTracker, and we have a direct comparison of these two competing products.